Tha Bòrd na Gàidhlig a’ faighinn Tabhartas gus Cuideachadh bho Riaghaltas na h-Alba gach bliadhna ionmhais gus na h-amasan is dleastanasan againne a choileanadh. ’S ann tro bhith a’ maoineachadh obair nam prìomh bhuidhnean Gàidhlig agus cunnradairean aontaichte eile a tha am Bòrd a’ coileanadh a’ mhòr-chuid den obair ris a bheil sinn an urra. Ge-tà, uaireannan bidh am Bòrd a’ toirt cùmhnant do dhaoine is bhuidhnean iomchaidh gus obair ro-innleachdail shònraichte a dhèanamh, agus bidh am Bòrd a’ maoineachadh iomairtean ann an com-pàirteachas le buidhnean eile. Tha Bòrd na Gàidhlig cuideachd a’ toirt maoineachadh do bhuidhnean poblach a tha a’ dealbh is a’ cur an gnìomh planaichean Gàidhlig. Bidh Bòrd na Gàidhlig a’ ruith sgeamaichean taic-airgid tron bhliadhna. Ge-tà, ma tha beachd agaibh air pròiseact aig àm sam bith den bhliadhna is nach eil sgeama taic-airgid freagarrach fosgailte aig an àm sin, leigibh fios thugainn air 01463 225 454 air neo cuiribh post-d gu tabhartas@gaidhlig.scot. Airson am fios as ùra air sgeamaichean maoineachaidh Bòrd na Gàidhlig, clàraich airson an cuairt-litir post-dealain againn an seo. Tha sgeama GIFT (Gaelic Immersion for Teachers) againn a-nis fosgailte airson iarrtasan 2019/20. Tha an Cùrsa Bogaidh Gàidhlig do Luchd-teagaisg (GIFT) ann airson ùghdarrasan ionadail a chuideachadh gus an urrainn dhaibh taic a thoirt do thidsearan, aig a bheil teisteanas-teagaisg agus sgilean Gàidhlig agus nach eil an-dràsta a’ teagasg tron Ghàidhlig, gus cùrsaichean pàirt- no làn-ùine a ghabhail a leigeas leotha teagasg tron Ghàidhlig ann an sgìrean nan ùghdarrasan ionadail sin. Gheibhear ceangal gu Stiùireadh do Thagraichean agus foirm iarrtais gu h-ìosal. Ma tha ceistean sam bith agaibh, cuiribh fòn gu Bòrd na Gàidhlig air 01463 225454, no post-dealain gu tabhartas@gaidhlig.scot. Bu chòir iarrtas a chur a-steach gu Bòrd na Gàidhlig cho luath ’s as urrainn agus gun a bhith nas anmoiche na 5f air Diardaoin 18 Giblean 2019. Bidh iarrtasan a tha tighinn a-staigh ro 5f air Dihaoine 15 Màrt 2019 air beachdachadh air tràth. CHA GHABH Bòrd na Gàidhlig ri iarrtasan a thig a-steach as dèidh 5f Diardaoin 18 Giblean 19. Tha an sgeama seo dùinte do iarrtasan ùra an-dràst, le dùil gun tèid an ath chuairt fhosgladh san Òg Mhìos 2019. Tha Bòrd na Gàidhlig air a’ mhaoin seo a stèidheachadh gus taic a thoirt do dhaoine a tha ag obair a dh’ionnsaigh a bhith toirt dreuchd a-mach mar neach-teagaisg Gàidhlig. Bu chòir iarrtas a chur a-steach gu Bòrd na Gàidhlig cho luath ’s as urrainn agus gun a bhith nas anmoiche na 5f air Dihaoine 14 t-Sultain 2018. CHA GHABH Bòrd na Gàidhlig ri iarrtasan a thig a-steach an dèidh sin. Tha sgeama Thabhartasan Foghlam Tràth-Bhliadhnaichean air a dhealbh gus am bi e a’ freagairt air buidhnean tràth-bhliadhnaichean saor-thoileach (aois 0-5) a tha ag amas air cleachdadh na Gàidhlig a bhrosnachadh ’s a leudachadh bho latha gu latha, agus leantainn le Foghlam tron Ghàidhlig. Tha e cudromach gum bi tagradh sam bith a’ dearbhadh gu bheil a’ phròiseact fosgailte, agus a’ toirt buannachd, don choimhearsnachd. Cha ghabh sgeama Tabhartasan Foghlam Tràth-Bhliadhnaichean iarrtasan bho dhaoine fa leth. Bu chòir iarrtas a chur a-steach gu Bòrd na Gàidhlig cho luath ’s as urrainn agus gun a bhith nas anmoiche na 5f air Dihaoine 14 t-Ògmhios 2019. CHA GHABH Bòrd na Gàidhlig ri iarrtasan a thig a-steach an dèidh sin. Tha an sgeama seo dùinte do iarrtasan ùra an-dràst. Tha Bòrd na Gàidhlig is Alba Chruthachail air a bhith ag obair gu dlùth còmhla bho 2010 gus leasachadh is leudachadh a thoirt air na h-ealain Ghàidhlig agus gus an cur fa chomhair an t-sluaigh ann an Alba. Bidh an dà bhuidhinn ag obrachadh air na ro-innleachdan aca fhèin, ach tha iad air aontachadh obrachadh còmhla airson dèanamh cinnteach gum bi na ro-innleachdan aca a’ freagairt air a chèile agus gus dèanamh cinnteach gum bi roinn ealain is cultar na Gàidhlig a’ faotainn taic iomchaidh, gum bi tuigse air feuman na roinne agus gum faigh an roinn taic èifeachdach aig gach ìre. Tha Bòrd na Gàidhlig agus Alba Chruthachail a’ cumail taic mu thràth ri buidhnean agus pròiseactan ealain Gàidhlig air feadh na h-Alba agus tha an dà bhuidhinn ag aithneachadh cho cudromach ’s a tha na h-ealain ann a bhith a’ togail ìomhaigh cànan is cultar na Gàidhlig agus ann a bhith a’ toirt chothroman do dhaoine taisbeanaidhean Gàidhlig de dhiofar sheòrsa fhaicinn is an cànan a chluinntinn. Tha an sgeama seo dùinte do iarrtasan ùra an-dràst, le iarrtasan 2019/20 fo mheasadh, ‘s dùil gun tèid an ath chuairt fhosgladh san t-Samhain 2019. Chaidh Taic Freumhan Coimhearsnachd a stèidheachadh gus taic a thoirt do bhuidhnean coimhearsnachd pròiseactan a chur an gnìomh a bhios a’ cur ri prìomhachasan a’ Phlana Cànain Nàiseanta Ghàidhlig. Tha am maoin seo a-nis fosgailte do thagraidhean airson pròiseactan a bhios a’ ruith eadar a’ Chèitean 2019 agus an Iuchair 2020 a bhiodh a’ cur ri amasan am Plana Cànain Nàiseanta agus Plana Chorporra Bòrd na Gàidhlig 2018-23, gu h-àraidh ann a bhith a’ cleachdadh na Gàidhlig. Bu chòir iarrtas a chur a-steach gu Bòrd na Gàidhlig cho luath ’s as urrainn agus gun a bhith nas anmoiche na 5f air Dihaoine 22 Gearran 2019. CHA GHABH Bòrd na Gàidhlig ri iarrtasan a thig a-steach an dèidh sin. Chaidh Maoin Buileachaidh Achd na Gàidhlig (GLAIF) a stèidheachadh airson ùghdarrasan poblach a chuideachadh gus na Planaichean Gàidhlig aca a chur an gnìomh agus taic a chur ris a’ Phlana Cànain Nàiseanta Ghàidhlig. Tha ùghdarrasan poblach cuideachd air taic-airgid fhaighinn tro GLAIF gus pròiseactan a thoirt gu buil mus fhaigh iad fios foirmeil Plana Gàidhlig a sgrìobhadh. Bidh a’ mhaoin seo a’ toirt taic do phròiseactan a bhios a’ tachairt agus air an tèid crìoch a chur eadar 1 Iuchar 2019 agus 31 Lùnastal 2020. Chan eil dùil againn aig an ìre seo gum bi cuairt eile ann de GLAIF airson phròiseactan anns a’ bhliadhna ionmhais 2019/20. Bidh an sgeama a’ cumail taic ri pròiseactan fo 7 prìomhachasan A-G.
’S e 5f Diardaoin 18 Giblean 2019 an ceann-latha airson iarrtasan cur a-steach. Tha an sgeama seo dùinte do dh’iarrtasan ùra an-dràst, ‘s dùil gun tèid an ath chuairt fhosgladh san t-Samhain 2019. Tha sgeama Colmcille air an ruith ann an co-bhanntachd eadar Bòrd na Gàidhlig ’s Foras na Gaelige gus cultar a’ roinn eadar Alba ’s Èirinn, gu sònraichte eadar Gàidhlig ’s Gaelige. Gheibhear ceangal gu Stiùireadh do Thagraichean agus foirm iarrtais gu h-ìosal. 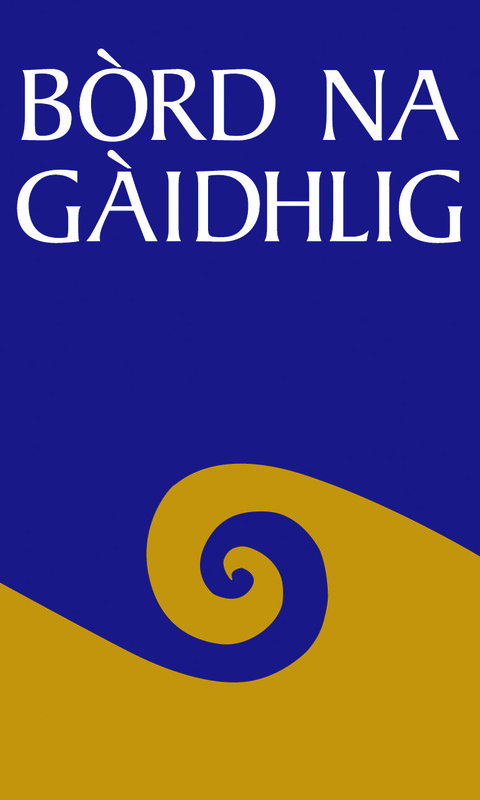 Ma tha ceistean sam bith agaibh, cuiribh fòn gu Bòrd na Gàidhlig air 01463 225454, no post-dealain gu colmcille@gaidhlig.scot. Airson gach sgeama maoineachaidh, bidh feum agaibh Aithisg Adhartais agus/no Aithisg Dheireannach a chur a-staigh thugainn gus measadh a dhèanamh air a’ phròiseact.